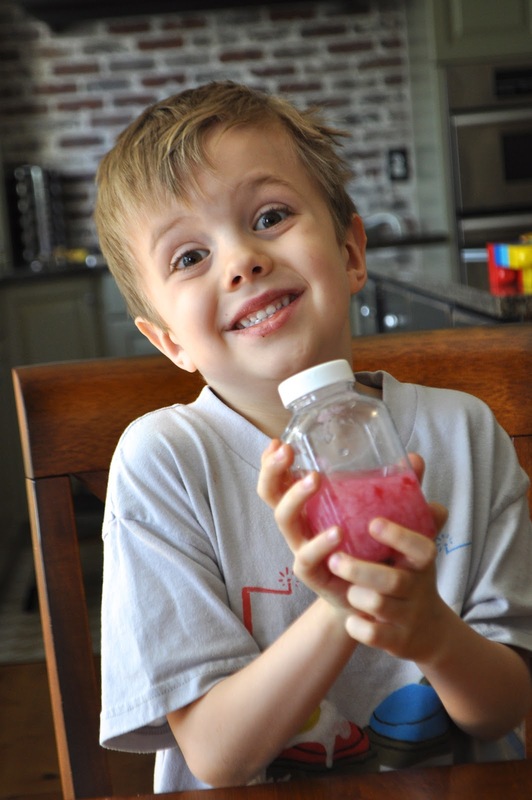 Last year we reviewed a kit from Kiwi Crate - a subscription that sends you kids fun projects/crafts in a package once a month. 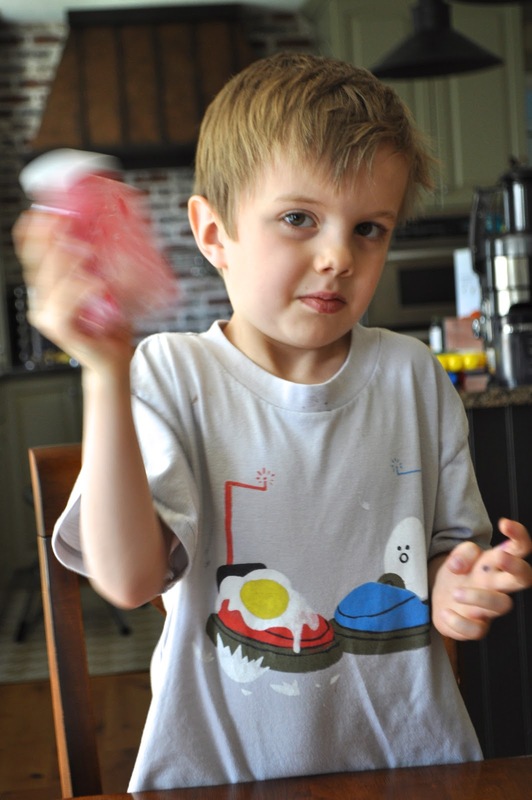 The boys and I both loved it then and we were excited to receive the Earth day kit this year. They actually recognized the box from a year ago and were really happy to see it again. Kiwi Crate really thinks their projects through. It always comes with EVERYTHING you need. There are supplies, great instructions, and educational information on the topic, too. It takes all the prep work out of planning great learning activities for your kids. Then we pressed the water out of it with the mesh liners provided, forming a sheet. In the morning we had paper. It was pretty neat. 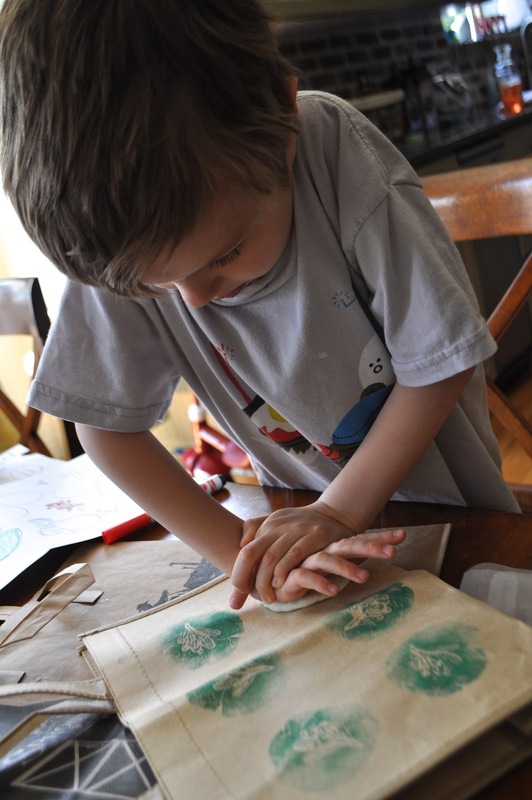 The second project was making your own nature stamps to decorate a reusable bag. Both boys liked this activity as well and I thought it looked really cool in the end, too. So if you'd like to learn more about Kiwi Crate, you can visit their site HERE. It makes an awesome gift and their projects don't disappoint. I definitely plan on signing up for that when my son is a little older. I think this would also be a wonderful thing for grandparents to buy them for Christmas instead of spending tons of money on junk they toss after s little while (that's how it goes for us anyhow). I'm so glad you posted this, when you posted about it last year they didn't ship to Canada but they do now! !